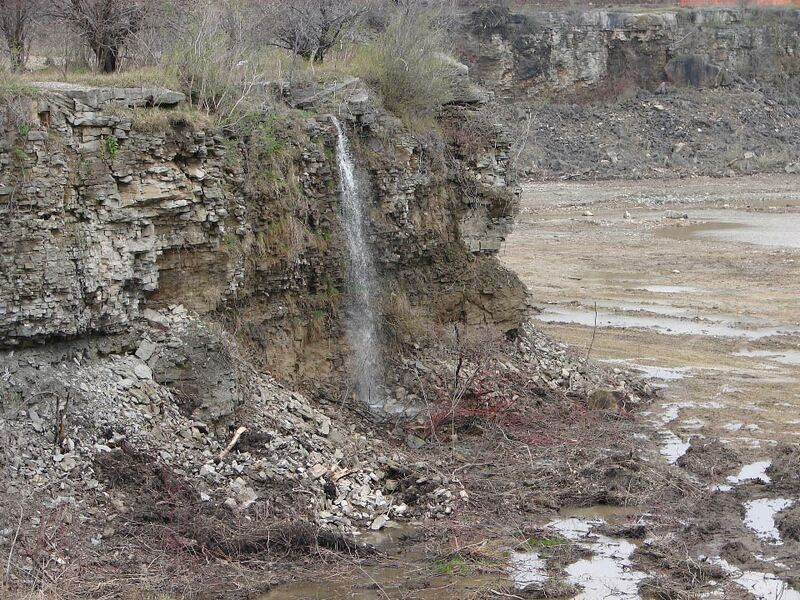 Quarry Falls is a 6.2 metre (20 feet) horsetail ribbon waterfall. Its crest is 1 metre wide (3 feet). It is located in the Flamborough section of Hamilton, east of Clappison’s Corners and south of the Rona store in the new power store complex. 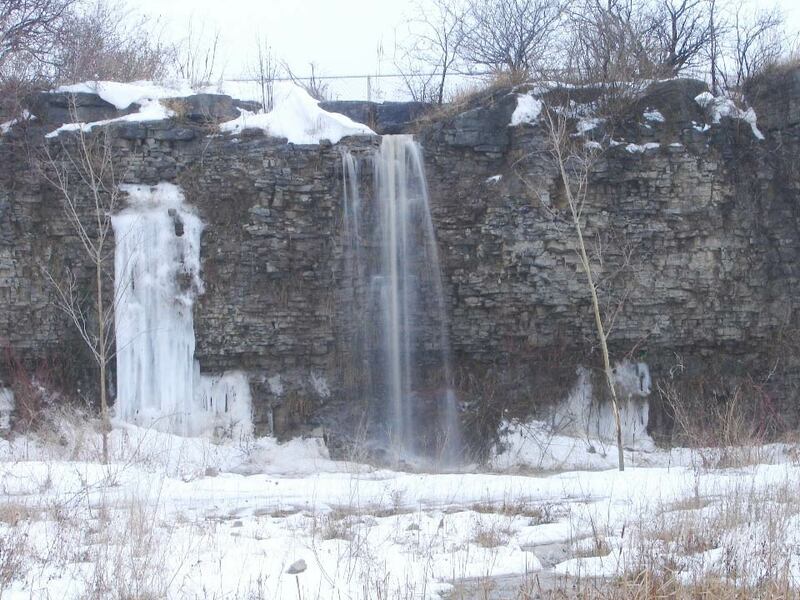 This waterfall is featured on Joe Hollick’s “Waterfalls of Hamilton- Spring” poster. Quarry Falls is located in the centre of the former quarry that once occupied this site. It was “discovered” by Joe Hollick and Montfield Christian (formerly of the Hamilton Conservation Authority) when the two of them were out to do measurements and GPS on some other waterfalls in the area in the spring of 2006. The best way to reach Quarry Falls is to follow the Bruce Trail until you are behind the new power centre (east of Hwy 6), then get off the Trail.